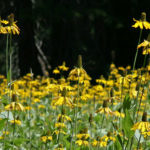 Rudbeckia californica is an erect, perennial herb, growing from a thick rhizome, its stem exceeding 3.3 feet (1 m) in maximum height and sometimes approaching 6.7 feet (2 m). It usually has no branches. Most of the large leaves are basal, with a few alternately arranged along the stem. The leaves can be up to 12 inches (30 cm) long and are lance-shaped to oval, smooth-edged or lobed. The inflorescence is a usually solitary, sunflower-like flower head with a base up to 2.4 inches (6 cm) wide, lined with several ray florets, each of which are up to 2.4 inches (6 cm) long. The yellow ray florets extend outwards and then become reflexed, pointing back along the stem. The disc florets filling the button-shaped to conical to cylindrical center of the head are greenish yellow. The fruits are achenes each up to 0.2 inch (0.5 cm) long, tipped with a pappus of scales. 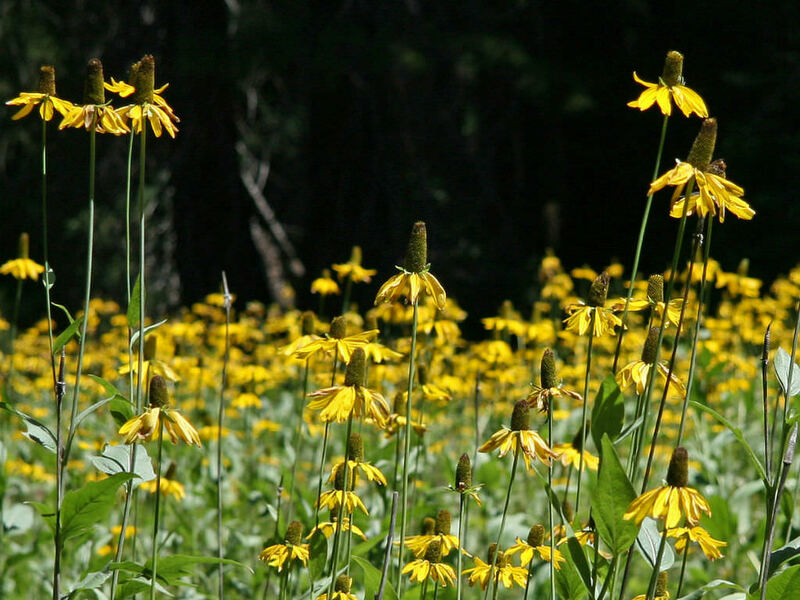 Black Eyed Susan plants are drought resistant, self-seeding and grow in a variety of soils. Growing Black Eyed Susans prefer a neutral soil pH and a full sun to light shade location. 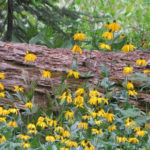 Black Eyed Susan care will often include deadheading the spent blooms of the flower. Deadheading encourages more blooms and a sturdier, more compact plant. 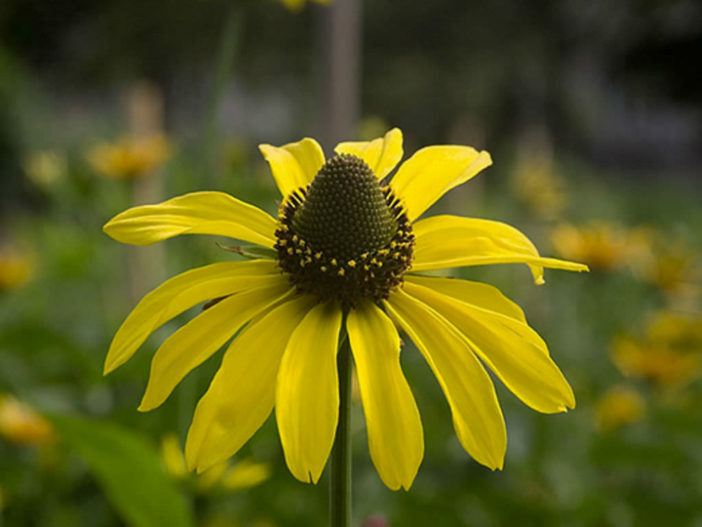 It also can stop or slow the spread of the Black Eyed Susan flower, as seeds are contained in the blooms. Seeds may be allowed to dry on the stem for reseeding or collected and dried in other ways for replanting in other areas. Seeds do not necessarily grow to the same height as the parent from which they were collected. 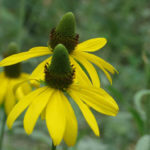 The Black Eyed Susan flower attracts butterflies, bees and other pollinators to the garden. 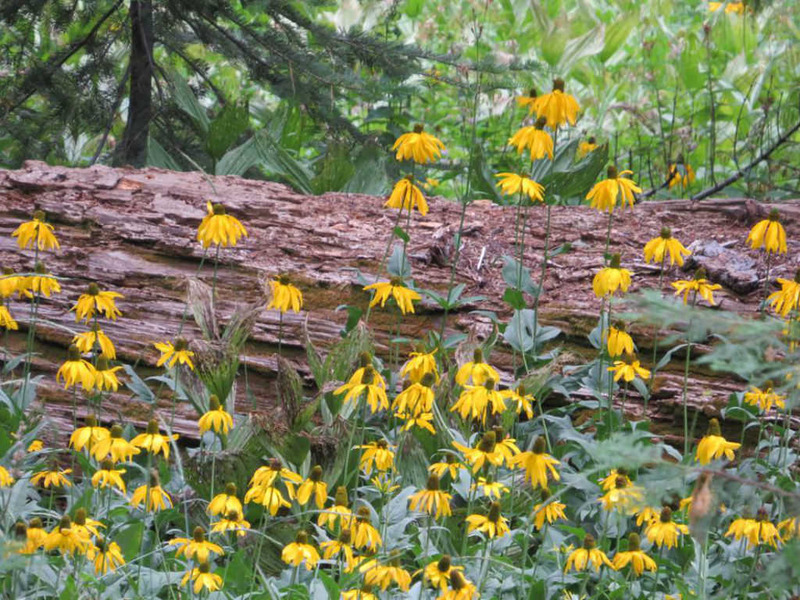 Deer, rabbits and other wildlife may be drawn to Black Eyed Susans, which they consume or use for shelter. 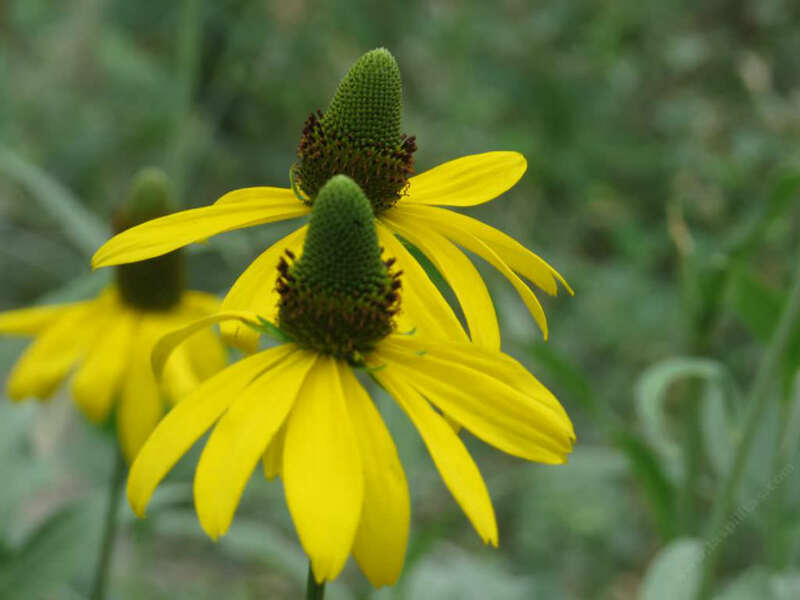 When planted in the garden, plant the Black Eyed Susan flower near Lavender, Rosemary or other repellent plants to keep wildlife at bay… – See more at: How to Grow and Care for Black Eyed Susan. Native to California, where it grows in the Sierra Nevada, the Klamath Mountains, and northern coastal areas.